Glycerine filled pressure gauge provides added durability where vibration or pulsation is present. It is constructed with a stainless steel case and bezel, copper alloy internals, and a brass 1/4" male national pipe thread lower mount. 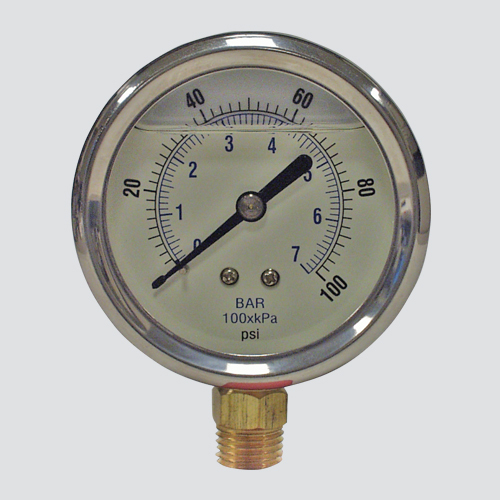 Meets or exceeds ASME B40.100 pressure gauge standard.